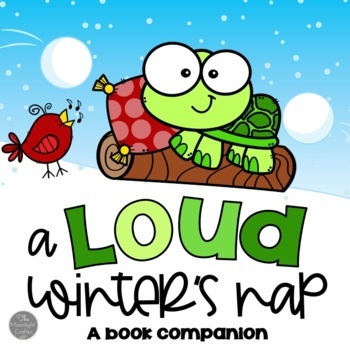 This is the perfect book to use for a Winter or Hibernation theme! The little tortoise just wants to sleep, but all of his forest friends want him to play! Loads of opportunities for sequencing, learning about the changing seasons and hibernation! 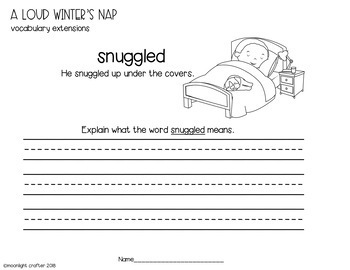 Vocabulary Printables: 5 follow-up activity sheets to "show what you know" about each of the new vocabulary words! 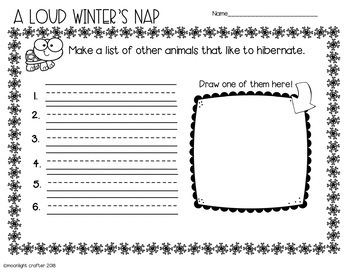 Animals that Hibernate Printable: Make a list of other animals that hibernate. Then draw a picture of one of them! Who Woke Up Tortoise? 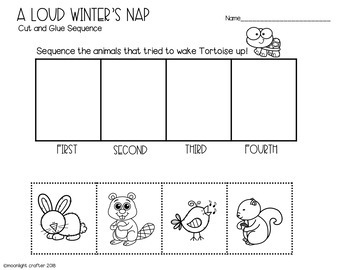 Printable: Cut and Glue Sequencing activity with pictures of the animals that tried to wake Tortoise up! Perfect sequencing activity for children who may not be able to do a text sequencing activity! Beginning Middle and End Printable: Sequence the simple sentences that tell about the beginning, middle and end of the story! ABC Order Printable: Look at the words from the story. Write them in ABC Order! Proper Punctuation Printable: Read the sentences about the story. Add the proper punctuation at the end of each sentence! "DESIGN a SIGN" Printable: DO NOT DISTURB! Tortoise needs a sign to remind the forest friends it is time for him to sleep! Make a Do Not Disturb! sign for Tortoise! Prediction Printables: Differentiated with more lines for more writing, one line for a little bit of writing or no lines (blank bordered printable) for children to draw a prediction!